This post introduces the second decision scoring example. Click here, or the box above this post, to access the detailed decision summary and scoring feature. 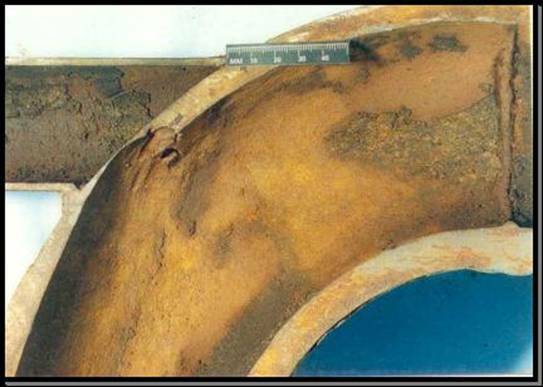 - not perform a temporary repair as current leakage was within tech spec limits, but implement an augmented inspection and monitoring program to timely identify any further degradation. - perform the temporary repair as described but commit to perform the permanent repair within a shorter time period, say 6 months. - immediately shut down and perform the code repair. Each of these alternatives would likely affect the potential safety impact of this leak condition and influence the perception of the decision strength. For example a decision to shut down immediately and perform the code repair would likely be viewed as quite conservative, certainly more conservative than the other options. Such a decision might provide the strongest reinforcement of safety culture. The point is that none of these decisions is necessarily right or wrong, or good or bad. They do however reflect more or less conservatism, and ultimately say something about safety culture. We wanted to present the results to date for the first of the decision scoring examples. (The decision scoring framework is discussed here.) This decision involved the replacement of a bearing in the air handling unit for a safety related pump room. After declaring the air unit inoperable, the bearing was replaced within the LCO time window. First, most of the scores did coalesce in the mid ranges of each scoring dimension. Based on the anchored scales, this meant most people thought the safety impact associated with the air handling unit problem was fairly minimal and did not extend out in time. This is consistent with the fact that the air handler bearing was replaced within the LCO time window. The people that scored safety significance in this mid range also scored the decision strength as one that reasonably balanced safety and other operational priorities. This seems consistent to us with the fact that the licensee had also ordered a new shaft for the air handler and would install it at the next outage - the new shaft being necessary for addressing the cause of the bearing problem. Notwithstanding that most scores were in the mid range, we find it interesting that there is still a spread from 4-7 in the scoring of decision strength, and somewhat smaller spread of 4-6 in safety impact. This would be an attribute of decision scores that might be tracked closely to see identify situations where the spreads change over time - perhaps signaling that either there is disagreement regarding the merits of the decisions or that there is a need for better communication of the bases for decisions. Second, while not a definitive trend, it is apparent that in the mid-range scores people tended to see decision strength in terms of safety impact. In other words, in situations where the safety impact was viewed as greater (e.g., 6 or so), the perceived strength of the decision was viewed as somewhat less than when the safety impact was viewed as somewhat lower (e.g., 4 or so). This trend was emphasized by the scores that rated decision strength at 9 based on safety impact of 2. There is intrinsic logic to this and also may highlight to managers that an organization’s perception of safety priorities will be directly influenced by their understanding of the safety significance of the issues involved. One can also see the potential for decision scores “explaining” safety culture survey results which often indicate a relatively high percentage of respondents “somewhat agreeing” that e.g., safety is a high priority, a smaller percentage “mostly agreeing” and a smaller percentage yet, “strongly agreeing”. Third, there were some scores that appeared to us to be “outside the ballpark”. These were the scores that rated safety impact at 10 did not seem consistent with our reading of the air handling unit issue, including the note indicating that the licensee had assessed the safety significance as minimal. Stay tuned for the next decision scoring example and please provide your input.